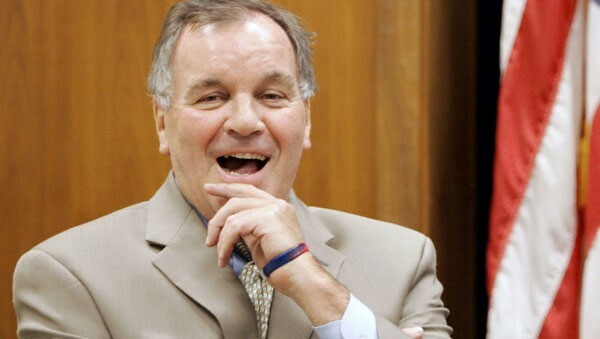 Mayor Daley has a laugh at reporters' expense, but that’s not who's losing out. Last week Mayor Daley and Mara Georges, the city's corporation counsel, announced at a press conference that the city was adding several new features to its Web site to improve the "transparency" of Chicago government. "That's the kind of government the residents of Chicago want, and it's the kind of government that I want," Daley said. As we've made clear here at the Reader, it's the kind of government we want, too. The new information the city is posting online includes economic disclosure statements filed by thousands of city employees, data about more than 150 boards and commissions whose members are picked by Daley, payments made to law firms and other businesses that do work for the city, and a log of all the Freedom of Information Act requests received by every city department. Most of that was good news, though the city didn't actually go so far as to make the additions easy to use. For example, the newly posted payment records are in cumbersome PDF files that can't be searched or readily analyzed—and they only go back as far as this past January. But the FOIA log is what understandably caught the attention of the journalists in town. Though the FOIA is designed to help all citizens access public records, it's a critical tool for reporters, a way of asking questions about government operations with the weight of state law behind them. Georges and Daley told reporters that posting the FOIA information online was a response to mandates of the state's newly toughened FOIA law that went into effect at the beginning of the year. (And which some legislators from around the state have been trying to roll back ever since.) The amended law does require government agencies to keep track of all the FOIA requests they get, but it doesn't require them to reveal to the public that the requests have been made. And most important, it doesn't require them to let the public know how they've responded to the requests. Critics said the city was motivated less by the spirit of tranparency than by a desire to sandbag their efforts: the move doesn't reveal any scoops, but it announces to the public (and the competition) any digging that's under way. "Mayor Daley on Thursday got some measure of revenge against the investigative reporters who've made his life miserable by digging up dirt on the Hired Truck, city hiring and minority contracting scandals," Fran Spielman wrote in the Sun-Times. At the announcement Georges had insisted the city was not out to make life harder for journalists, but her boss undermined her credibility. Daley's amusement was audible: he wasn't just chuckling, he was losing it. As soon as the new Web features went live, people started commenting on what they saw on the FOIA log. Time Out Chicago's Frank Sennett sounded almost as giddy as Mayor Daley had, posting his observations on Twitter. "Judging by city's new FOIA request page, Daily Herald's working O'Hare landing fees, Bloomberg's on United merger, Dumke's stalking Daley," he wrote. Sennett's reaction just helped illustrate that the city's step toward "transparency" is, to put it politely, a sham. Under the section listing requests submitted to the office of the mayor, for instance, the log shows that I'd submitted a request for "Copies of the mayor's appointment calendar daily schedule from Nov. and Dec. of 2009 and Feb. through April of 2010." I could mention that if I were stalking someone, I'd probably be more interested in where he's going to be than where he was six months ago. But more noteworthy—to me, anyway—is that I never actually submitted a FOIA request for those materials, and yet the request for them was posted anyway. Last September President Obama announced that as part of his administration's commitment to open government he was authorizing the publication of a White House visitors' log. "Americans have a right to know whose voices are being heard in the policymaking process," he said at the time. Members of the public can now go to the White House Web site and find a database offering details of more than 300,000 meetings held by Obama and his staffers. It shows, for example, that Mayor Daley met with the president in the White House on October 30, 2009, and again January 20, 2010. There's nothing comparable on the city's Web site, though I believe Chicagoans have a right to know who's got the mayor's ear. So a couple of months ago I sent in a FOIA to the city's law department requesting a copy of the mayor's appointment calendar or meeting schedule for the month of January 2010. The reason I submitted a FOIA was the same reason anyone ever submits a FOIA, whether they're reporters or not—they want or need information about government operations that isn't publicly available. I never expected city officials to keep my request a secret. I know better—in the past I've had city spokespeople tell me what competing reporters were working on, and I assumed that my inquiries were probably passed on the same way from time to time. But submitting a FOIA is kind of like telling your doctor you're going to sue him. It ups the ante. I'd much rather get the press liaison on the phone and say, Hey, I'm looking for these documents—what would it take for me to come in and make copies of them? But most flacks can't or don't work like that. Before forking over the info they force reporters to send a formal letter invoking the state law.